This reserve covers 180 ha of the Kabeljous River Estuary near Jeffrey's Bay, and provides sanctuary to a number of water fowl. The dunes protect the nests of the African Black Oyster Catcher. 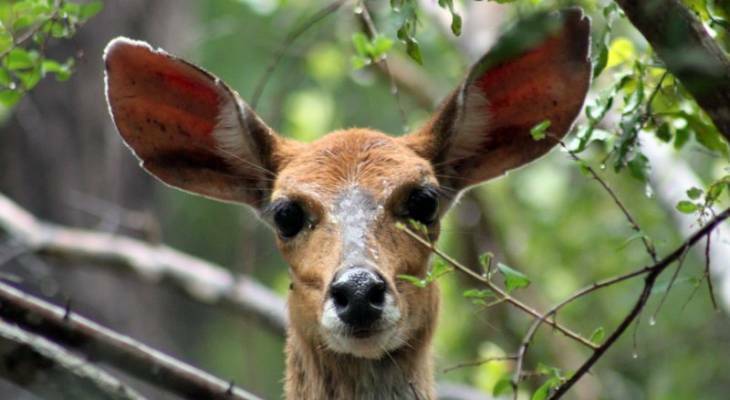 Duiker and other small buck take refuge along the coastal vegetation. A 3 hour circular trail is open to the public, and is used both as a walking trail and a horse trail. If you’re looking for the perfect accommodation in Jeffrey's Bay, look no further. Jeffrey's Bay Beach House is a bed and breakfast establishment situated right on the beach in one of the world’s greatest towns. Experience peace and tranquility in a relaxing atmosphere, away from the busy main road. Enjoy all the comforts of home living, panoramic views of the bay and beyond. 6 Tastefully decorated rooms, three equipped with a kitchenette. Kabeljous River Nature Reserve Information and Nearby Accommodation.